While it is great to have the luxury of cooking in the kitchen of your vacation apartment, it is also wonderful to forget about the dishes and dine out instead. But where do you eat in a city you have never visited before? Play it safe by sticking to McDonalds or grab yourself a snug seat in a local restaurant. Or maybe you are looking for something that will blow these two options completely out of the water? Grab a pen and take note of some of the most unusual restaurants in the world! Guests can experience a bygone era while dining at The Bedford, a restaurant set in the former Home Bank and Trust Company Building designed by Vitzthum, Karl, and Co. The construction was built in 1926 and granted landmark status in 2008. The rich architectural history of The Bedford begins the moment guests walk in through the vintage vault door. 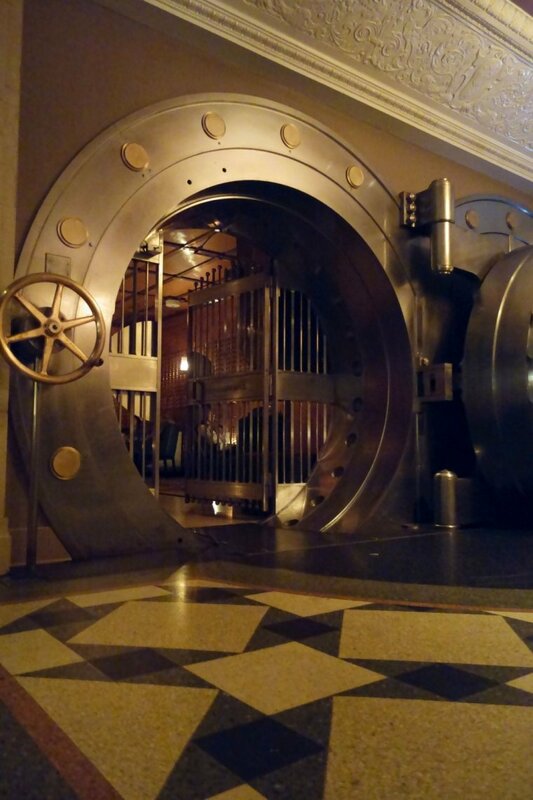 A spectacular decor features throughout and includes a VIP room in a former vault lined with more than 6,000 working copper lock boxes, terracotta, marble and terrazzo. All materials used were reclaimed and restored from the original bank. The Bedford serves craft cocktails and local beer and wine, as well as various snacks and full meals all prepared using seasonal produce. Ristorante Da Pancrazio, which opened in 1922, was built over the Theatre of Pompey’s ruins, in a location close to where Caesar was murdered. Therefore, it is easy to say that this restaurant is full of history. Throughout the restaurant is a charming decor of Roman-style benches, carved capitals and Belle Epoque paintings and furnishings. A traditional Roman menu including spaghetti alla carbonara, cannelloni alla Pancrazio and fresh fish is served. 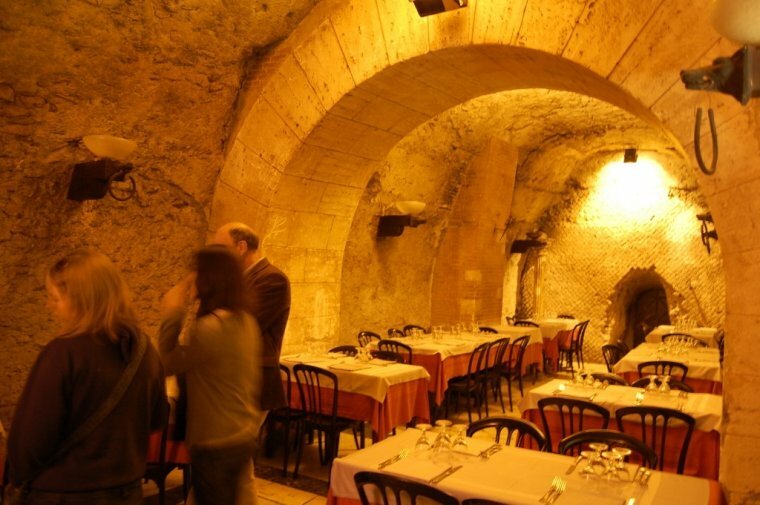 Diners should request to be seated on the lower level which boasts 200-year-old walls. Sometimes musicians will come to play at the tables. Ristorante Da Pancrazio, Rome. Photo by Matthew via FlickrCC. In a city boasting 191 Michelin stars, Tokyo is a place where diners will never be bored. As well as gourmet cuisine and the sushi dishes the country is famous for, it is also home to some increasingly popular theme restaurants. Vampire Cafe is one which shouldn’t be missed. Excellent attention to detail ensures a creepy atmosphere in the restaurant. The walls bleed red colouring, red velvet curtains are hanging, guests sit on red velvet thrones, light comes from candles placed on coffins and all the mirrors are broken. The frightening theme continues with the food and includes coffin cake and food shaped like crosses and bats. However, the most chilling aspect of the Vampire Cafe are the serving staff who dress up in Gothic attire and like to jump out on unsuspecting diners from the shadows of dark corners. 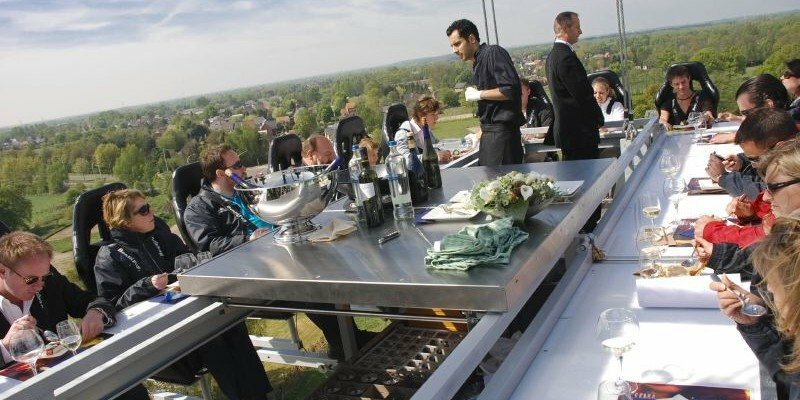 Dinner in the Sky is not a dining experience for the faint-hearted. Originating in Belgium, the air borne concept has spread across the world, including permanent establishments in Paris, Las Vegas, Istanbul and Rio de Janeiro. The name is certainly a giveaway and essentially what this is a flying dinner table. Twenty-two guests are strapped into a leather seat attached to a dining table and lifted by a crane 180 feet into the air. The table has walking space for servers. 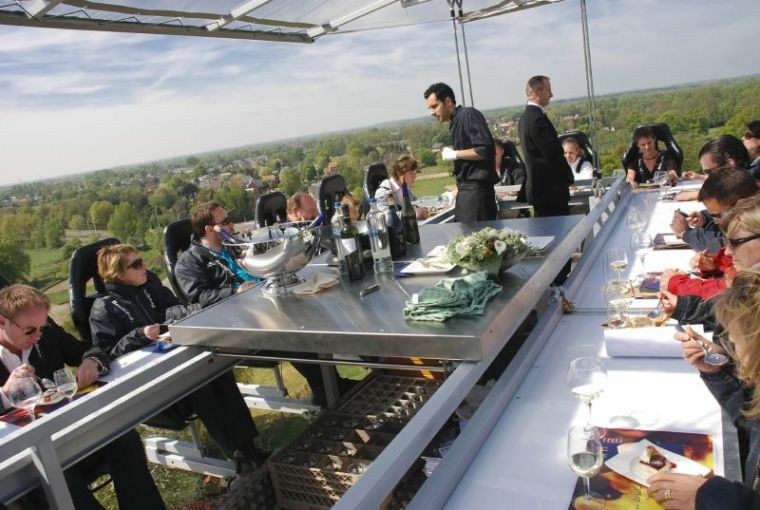 Dinner in the Sky is an exclusive experience mostly booked for VIP events. It is not the cheapest option available but certainly one of the most unusual. Founded in 1981, Kinderkookkafé is unique in that children do the cooking, bar keeping, serving, washing up and write out the menu. Located in Vondelpark, it doubles as a kind of day care center as guests drop off their kids and then return to eat the meal. Each child decides what they want to eat from items such as ham and cheese croissants, open face sandwiches, and pizza. The meals are prepared using fresh and healthy ingredients, and are offered at a relatively low price. Available to children aged 5 to 12, a reservation must be made to dine (and cook) at Kinderkookkafé. 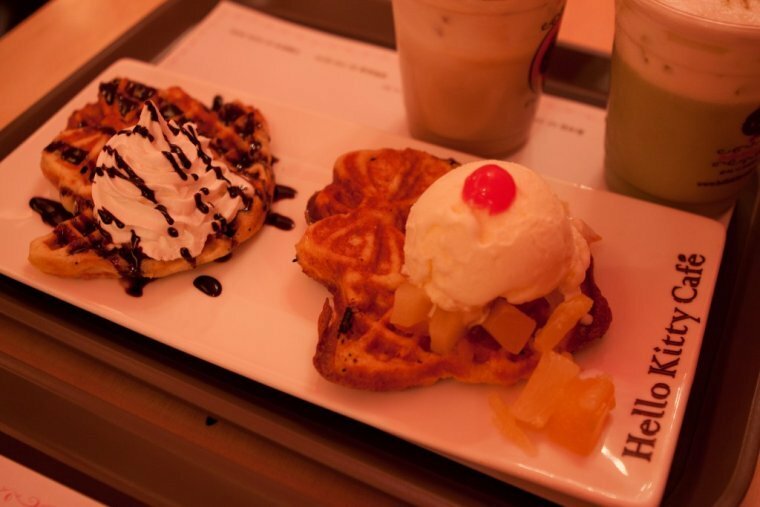 Hong Kong is home to the world’s first Hello Kitty cafe. Guests can choose from 37 dishes, half of which are shaped like the world famous character. Each dish is prepared using healthy ingredients, such as organic vegetables, coconut oil and goji juice, and include dumplings and steamed buns. The dishes are reasonable priced and are also low in oil and salt. No English menu is available but pictures of the food are provided. Those who want an even more unique experience can book Apple Court, a private VIP room.